Numerous parts of the world, notably eastern and southeastern Asia, prefer squat toilets to standard Western toilets. Squat toilets sit level with a bathroom floor and run like a slim trench from front to back. Using these toilets – which entails squatting over them – can help relieve constipation and pressure within your bowels. Installing a squat toilet works much like installing a regular toilet, except that you must cut a hole in your bathroom floor. You can purchase a squat platform to fit your standard toilet. Determine the dimensions of your squat toilet by using your measuring tape or by referring to the squat toilet manual. Outline an area on the floor where your squat toilet will be installed, using your current toilet drainpipe as a focal point. Determine the perimeter of the hole you will cut in your floor to install the parts of the toilet that sit below the floor. Put on your work gloves and safety goggles. 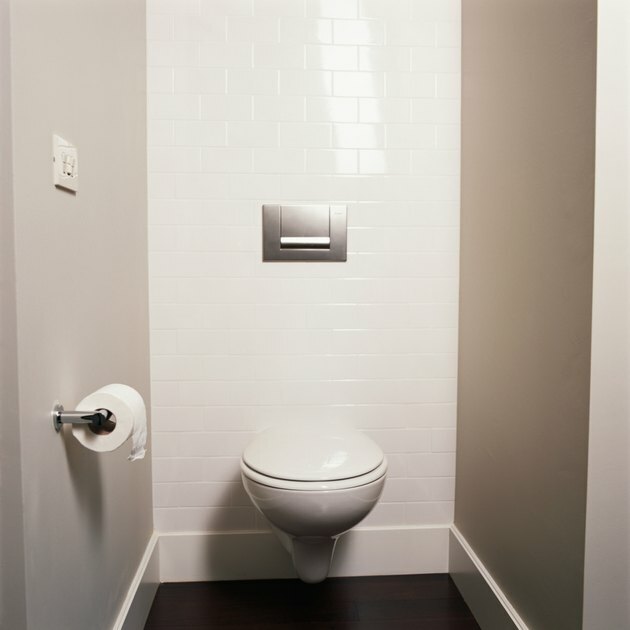 Remove your bathroom floor to accommodate the parts of the toilet that will sit below floor level. Use your sledgehammer and chisel to remove tile or wood boards. Use your utility knife to cut through linoleum floor coverings. Keep any boards or tile your remove intact. Try not to damage them during removal. Peel back linoleum rather than cutting it away completely. Cut through your wooden subfloor with your power saw if necessary to accommodate the size of the toilet. If you possess no building experience, contact a local contractor for assistance before cutting into parts of your home frame, such as the subfloor. Sweep away all debris with your broom. Remove your squat toilet from its packaging, and place it on your bathroom floor. Place toilet packaging away from your workspace. Move the squat toilet into the hole you prepared. Make sure to line up the drain on the toilet with the drainpipe in your bathroom floor. Ensure that any rim on your toilet sits on, rather than in, the floor. Connect your drainpipe to the drain hole in your squat toilet. Use your wrench if necessary. Apply solvent or sealant approved for use with plumbing pipes at the juncture of your drainpipe and toilet drain to ensure a watertight connection. Replace the pieces of your floor your removed during Section 1. Use your floor adhesive to bind your floor material back to the subfloor. Apply a floor sealant of waterproof caulk where the floor meets the toilet, to protect your home from water leaks. Remove your flushing mechanism from its packaging. Assemble any parts, such as pipes, joiners and handles, which require preassembly. Find information on this in your toilet manual. Connect your flushing mechanism to existing plumbing fixtures using your wrench. When replacing a standard toilet, this entails little more than hooking the flushing mechanism up to the same pipes and parts you used with your standard toilet. Use pipe solvent or sealant at the joints of all plumbing parts to ensure a waterproof seal. 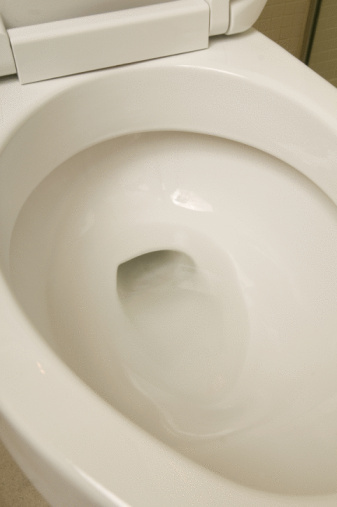 Check your toilet to ensure the flush mechanism works without water leaking anywhere. If your bathroom lacks adequate hookups for your new toilet, contact a plumber to help you prepare your bathroom for installation. Never undertake plumbing work without previous experience and training.